You've heard of the flipped classroom. It sounds like some kind of strange gymnastics move, or perhaps an interior design disaster. What's all the buzz about flipping? At the basic level, flipping a class means letting students learn the material at home, usually through video, and then come in to class to interact, collaborate, and explore further. Nothing wrong with that idea. Except, does that mean you have to throw out everything you've been doing and turn your office into a video production studio? Ack! 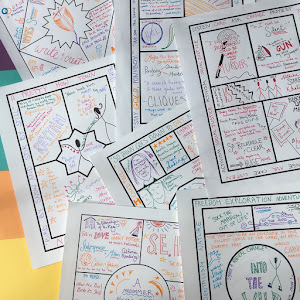 If you read my post last week about avoiding pedagogy overwhelm, you know I believe in adopting new strategies as lovely new elements in your teacher toolkit. There's no need to throw out the amazing units you have already created just because you want to try out this new strategy of flipping. It's easy enough to experiment with video lessons as a complement to what you are already doing. Maybe you have a lecture day that you've never been able to make as engaging as you'd like. Maybe you're going to be teaching a new book next year and you don't yet have any materials prepared. 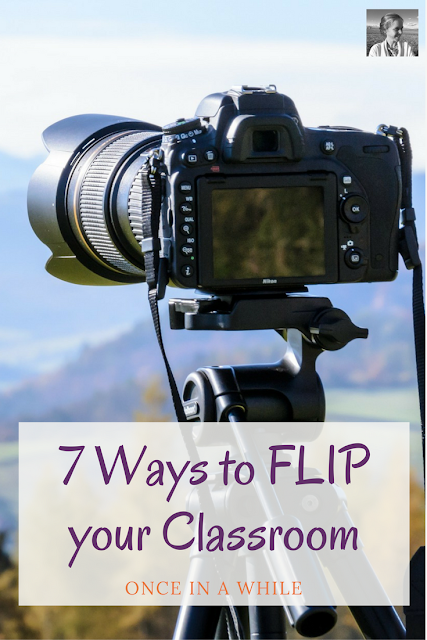 Trying out the flipped classroom is as easy as choosing one of these seven ideas and trying it on for size. If you and your students love it, maybe you'll try another. Or another. 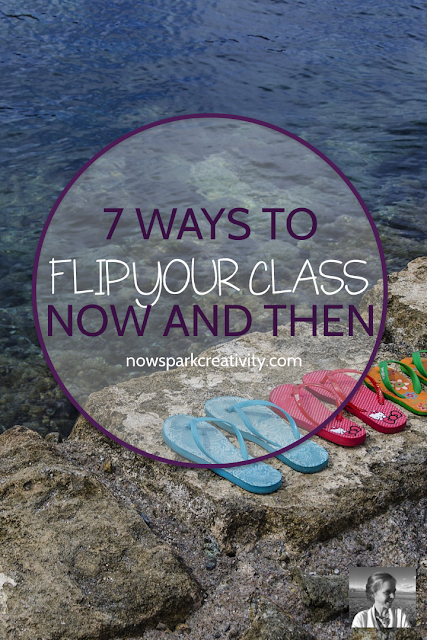 Maybe someday you'll decide to shift an entire new class to the flipped model, or maybe you won't. But either way, you'll know what this creative new pedagogy has to offer you. Choose one element of your curriculum - the elements of a formal paper, a set of descriptive writing lessons, vocabulary for the fall, revisions strategies, the nature of transcendentalism, etc. Create a short series of video lessons on this one curriculum element and assign them as homework throughout your unit. When students come in after viewing a video, dive right into an interesting application they can work on together, taking advantage of their new mastery. See what they think! Ask them how they like learning with the videos. As one class finishes the year with you, let them choose one element from the year and create a video to help the students coming along next. Give them editorial freedom to use whatever creation tool they think would be most engaging. Then take the best few and sprinkle them in as flipped lessons the next year. Repeat the cycle, sticking with the best few to share every year. In the most recent episode of "Flipped Learning Worldwide" (June 6, 2017), the guest shared her frustrations with how often her students simply dumped their papers (with her comments!) into the trash after looking at their grades. Now she no longer writes comments. She reads through a paper once and then records a video for the student in which she goes through the paper and talks through her suggestions. Her students' test scored have sky-rocketed and so has their engagement. Plus, she says, she actually needs less time to provide feedback on each paper. If you're nervous about creating video, I'd venture to say nothing could be easier than Facebook live. If you gather your students into a Facebook group, all you have to do is point your smartphone at whatever you want to show and click "go live." In this way you could bring your students with you on a virtual field trip, bring them with you to a lecture or presentation, talk to them about something important, host a review session before an exam, or simply walk them through some material. The live session will become part of the feed in the group and remain there for students to go back to anytime. If you want to do the occasional live session at night, students can even show up to the live session and ask questions during your broadcast. But you can also simply record the live videos during a prep period. Teaching a new book? Consider going all in and flipping one entire unit. Create some videos yourself, find some online, and let students create some. See what works best. Experiment with how best to take advantage of all that awesome class time you'll free up by removing mastery instruction. Maybe you'll LOVE it. If you're really interested in incorporating more video lessons into your classroom, one fun tool is called Powtoon. While it does take some experimenting to get the hang of it, Powtoon can help you create fun, animated movies for your students without much technical skill. To me it seems like the next Kahoot in terms of engagement and popularity. Forty-one million Powtoons have already been created on the site! Here's an example of a very simple Powtoon someone created to teach the concept of "much" vs "many." Once you get the hang of Powtoon, creating a video like this would not take too long. Everyone has taught a lesson that did not go well. Look over your next few months of material and choose three lessons that just didn't do it for you last time. Students watched the clock. Students kept peeking at their phone. Students continually asked what they were going to be doing next. Turn that material into video content they can watch the night before and remake your class day into something you'll all love. 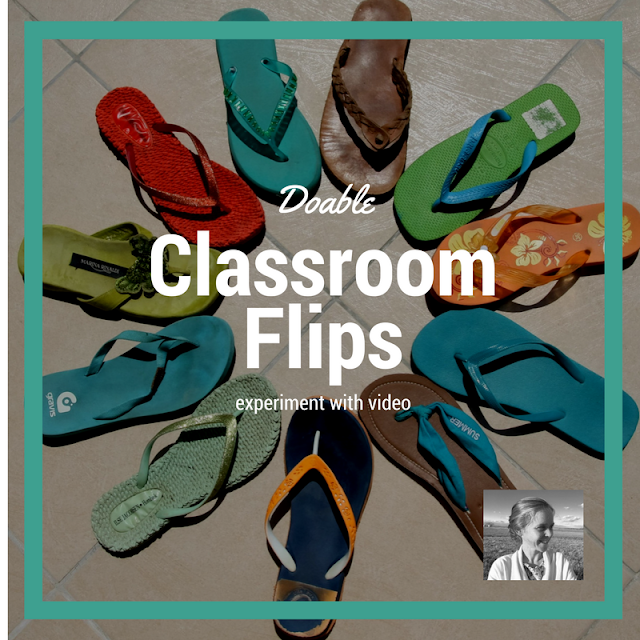 I think flipped learning has great potential. Like any teaching strategy, there's no reason to embrace it to the exclusion of all the other amazing possibilities, unless you find it's the very best thing for you and your students. Test it out! Sprinkle it in! See what you think, and how your students react. Hopefully it will become another great strategy you can rely on now and then throughout the year. Want a great place to share your progress with flipped learning and all the other creative pedagogies you're experimenting with? Hurry over and join us in our Creative High School English Facebook group. Can't wait to see you there!